I am team teaching this year. I will be teaching Math, Science, & Social Studies to two classes. 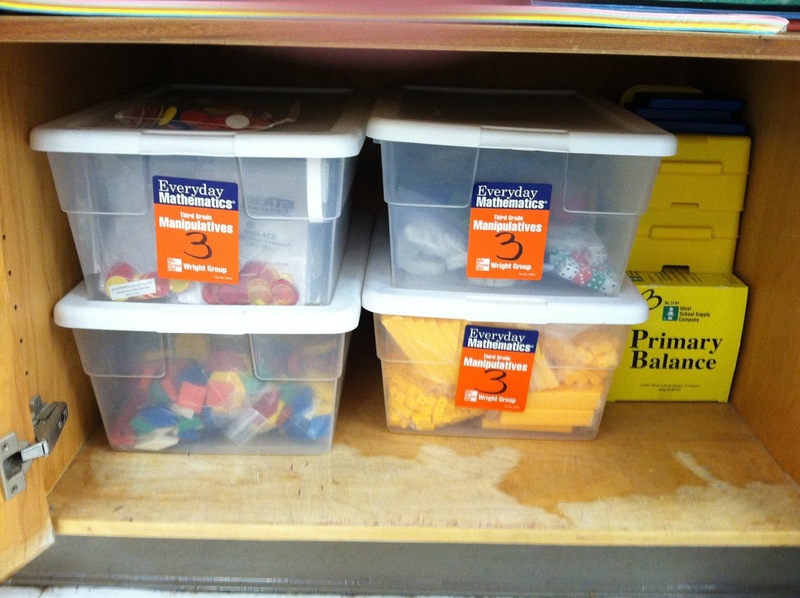 I'm also starting math workshop for the first time so I knew I had to organize my math materials. 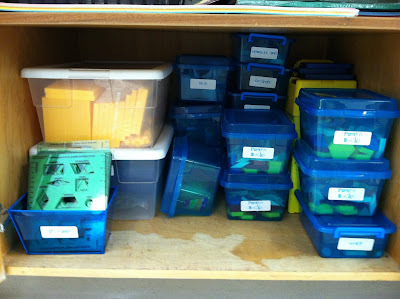 I think this will help when planning small group instruction and centers! After organizing all of that, I had a TON of left over manipulatives. Many of which are brand new! 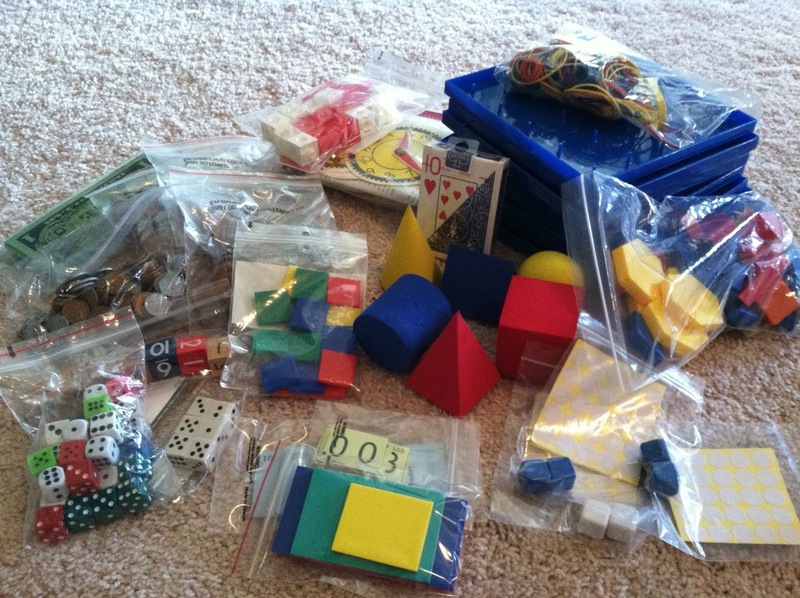 If you are interested, you can have all of these fabulous math manipulatives!! First person to comment that they want them...They are yours! Just leave your email if you are a no-reply blogger. Day 3 of Teacher Week '13! Check out the other blogs participating at Blog Hoppin' by clicking the picture below! I love your blog. I just found it. The background is so classy and pretty! Doesn't it feel so good to get organized and actually KNOW what you have?! :) I am your newest follower. I'd love you to stop over to my blog if you get a chance! Wow I'd love to have all of those extras!! :) Let me know if the first person passes. 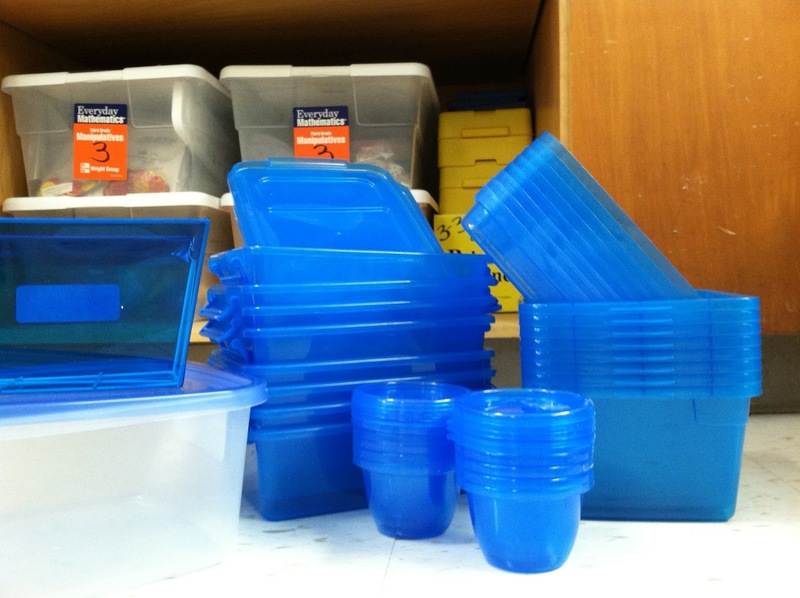 I found your blog through the Teacher Week linky - glad I did. I'm your newest follower! 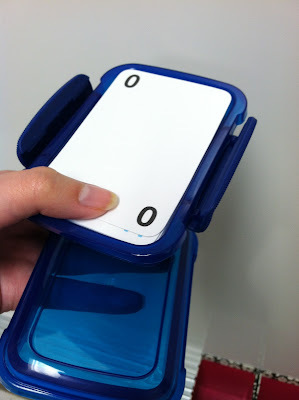 The math materials are yours!! I really need to organise my decks of cards! Thanks for the prompting!